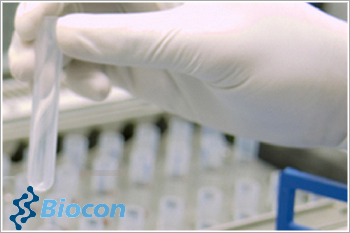 The FDA notified Biocon as we are the current holders of the ANDA. Blu has successfully initiated and completed the recall. Biocon has not manufactured and supplied any simvastatin tablets to date. With reference to the recall listed by the USFDA, Biocon clarified that the Class III recall for 5mg tablets of simvastatin pertains to a specific lot manufactured by Blu Caribe, Puerto Rico, USA for Blu Pharmaceuticals, Kentucky, USA (together 'Blu') long before Biocon acquired the simvastatin ANDA from Blu. The scrip opened at Rs. 566 and has touched a high and low of Rs. 566 and Rs. 557.15 respectively. So far 225420(NSE+BSE) shares were traded on the counter. The current market cap of the company is Rs. 11338 crore. The BSE group 'A' stock of face value Rs. 5 has touched a 52 week high of Rs. 574.25 on 20-Apr-2016 and a 52 week low of Rs. 396.5 on 25-Aug-2015. Last one week high and low of the scrip stood at Rs. 574.25 and Rs. 549.3 respectively. The promoters holding in the company stood at 60.72 % while Institutions and Non-Institutions held 19.35 % and 17.99 % respectively.